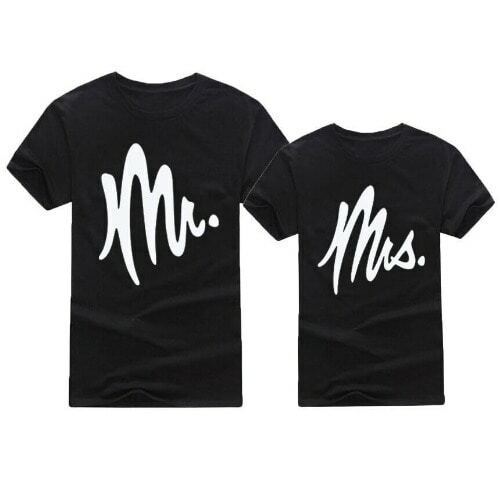 Couple T shirts specifically meant for the perfect couple with "Mr. and Mrs." stylishly inscribed on them. It is made of comfortable cotton material and is well suited for great outing. All sizes available for male and female. We ship your desired sizes upon confirmation of order.